In these columns during Lent, we are trying to return to the Gospels, praying to be transformed into the person we meet in those pages. Through our prayer and reading, we want to reflect on important aspects of our Lord’s human personality and how we can grow in our likeness to him. 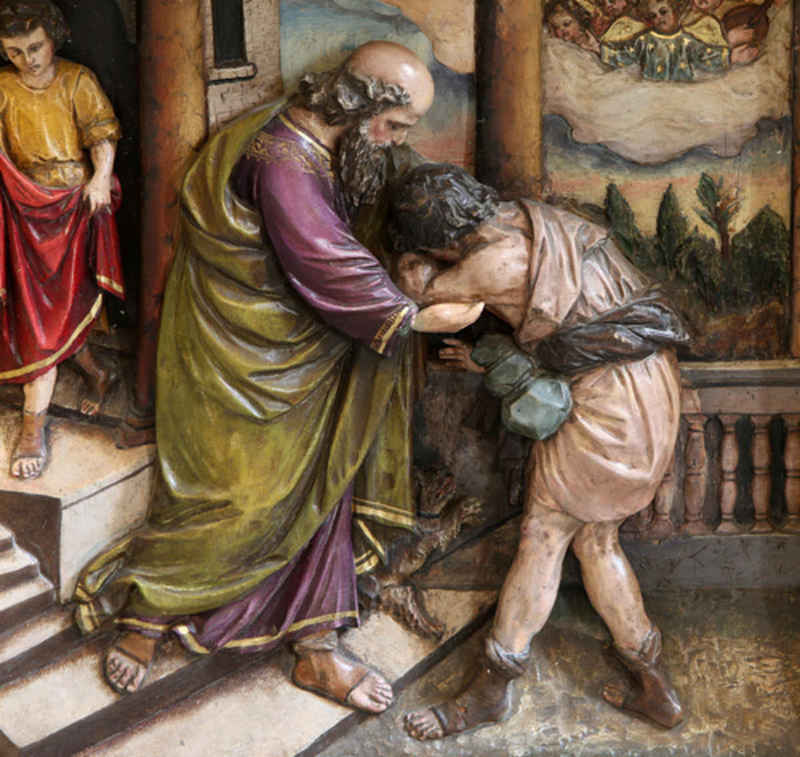 Last week we looked at Jesus’ humility of heart. This week we reflect on his tender mercies and kindness to those who have fallen. Always, there is a transparency in Jesus, his words and actions revealing the depths of his heart. We remember his gentle affection for the woman, presumably a prostitute, who bathed his feet with her tears of repentance while he was at dinner in the home of a Pharisee. He did not push sinners away or set up litmus tests or preconditions they had to meet. He called to them, often by name. Sinners came to be near him and to hear him. And the righteous were scandalized. Criticized by the Pharisees and scribes, Jesus explained himself in parables. He tells three in a row in chapter 15 ofSt. Luke’s Gospel. A man goes out after his lost sheep and brings it back on his shoulder. A woman lights a lamp and searches her dark house until she finds a lost coin. A father sees his lost son when he is still far off and runs out to embrace him. When they find what is lost, all three celebrate with a great feast. This is a sign of God’s joy in heaven when sinners repent and return to him, Jesus explains. There are no excuses or exceptions to this command. If we do not show mercy, God will not show us mercy. If we do not forgive others, God will not forgive us. These are the terms of our salvation. This principle is so important that Jesus makes it part of the prayer that identifies us as Christians. Every time we pray, we promise to forgive others as we ask God to forgive us. Often today we see a different spirit at work in our society, and even in the Church. We seem to be losing the quality of mercy, along with any inclination to distinguish sinners from their sins. In every corner, we see outrage and condemnation, people holding their adversaries in contempt — as if they could never be worthy of a second chance, as if they could never be redeemed or find pardon. In the face of grave sins, injustices, and crimes, this way of thinking is understandable. But it is not the mind of Christ. And Jesus never asks us to pretend that the sins of others do not do real damage. When he tells us, “Judge not, that you be not judged,” he is not preaching moral relativism or indifference. He is not telling us we should excuse injustice or tolerate what should never be tolerated. He is telling us that it is not for us to decide who is deserving of mercy. And we cannot justify ourselves by pointing out that those we condemn are worse sinners than we are. The prayer of the Pharisee — “God, I thank thee that I am not like others, extortioners, unjust, adulterers, or even like this tax collector” — is not a prayer at all. In being merciful, Jesus is being true to who he is. In calling us to be merciful, he is asking us to be honest about who we are. We are called to be witnesses and apostles, not judges. In showing mercy to others, we bear witness to God’s mercy in our own lives, to the forgiveness he has shown to us. Jesus calls us to forgive as we have been forgiven. Not seven times, but seventy times seven times. In other words, every time. And we cannot be stingy or grudging in our mercy. The measure we give is the measure we will get back. As we continue in this Lenten season, keep praying for me, and I will keep praying for you. And let us ask our Blessed Mother Mary to help us to grow in mercy, that we may become more and more like her Son.